During the night we turn to bulbs as the medium that produce natural lights through electricity. In this article, we are going to compare the two light bulbs that we usually believe to be interchangeable. We use the other as the alternative if one isn’t available. This is going to be an article about a19 vs. a21 bulb. While both light bulbs can be available for LED type, it can also be bought with regular lights. 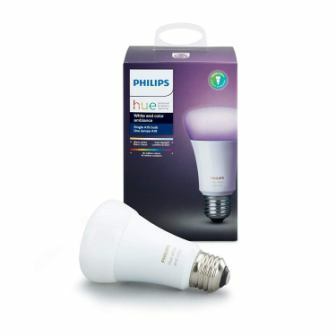 Though some people don’t mind getting either A19 or A21, the two kinds of light bulbs may have a slight difference. So, let us take a look at some feature they may differ. The name type of the bulb is design for a reason. The letter A on it represents the shape, while the two-digit numbers are the diameter at its widest point. The width is important. Users may prefer bigger ones because they associate it directly to the light distribution within the room. Also, when they use the bulb in the lamp, they need to know the dimension to make sure it fits well not only on the base but also within the lamp head. Another thing is that the size of the bulb is necessary to contain the heat is generated. As mentioned, the two digits numbers on the bulb name refer to the diameter of the item. So with A19 light bulb, it has a diameter of 2.4 inches– 19 divides by 8 inches. The length of the A19 is 3.9 – 4.3 inches. In millimeter, the A19 light bulb has a dimension of 112.7 mm in length and 69.5 mm in diameter. The A21 light bulb has a diameter of 2.6 inches, and a length of about 4.1 to 5.4 inches. And in millimeter, it is 78.5 mm in diameter and 139.7 mm in length. This is slightly longer than the A19. Between A19 and A21, the A21 works better. As mentioned, the size of the light bulb will define how well can a manage the heat it will receive, so the more significant, the better. This means it is better to get the A21. However, for some, they might feel satisfied with how A19 works. The base of the light bulb is essential because from it you will know to what light fixtures can it be fitted to. If you have a bulb in your light fixture, you must be familiar with its base size. 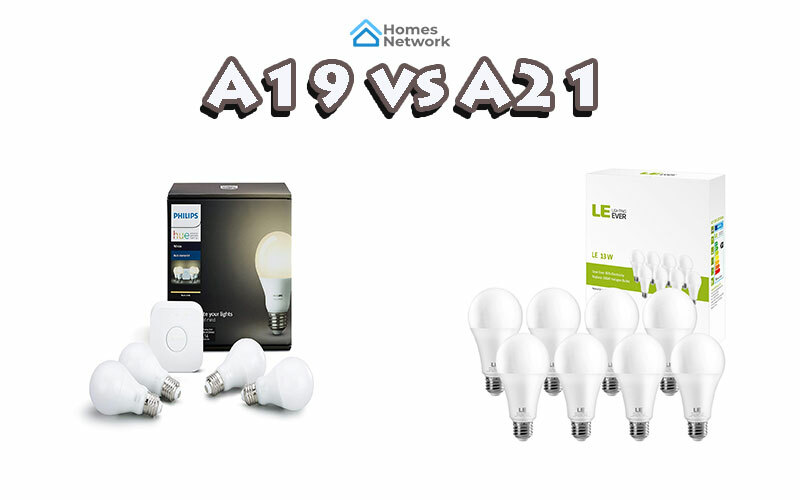 The A19 and A21 are both ordinary bulbs, so let us determine if they have the same or different base size. The A19 has an E26 light base. 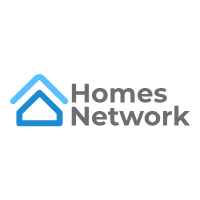 Referring to the size structure, it is the medium size of all bases and considered the standard base size in the US. 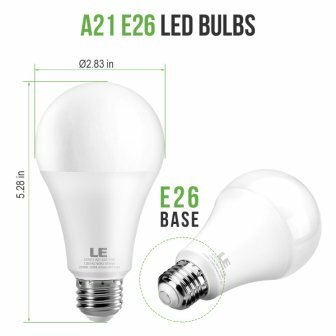 The A21 bulb also has an E26 light base. So same with the A19, people usually buy bulbs with E26 base because it is the common or the standard base measurement for most of the socket in every home. The two light bulbs have the same base sizes so either can be connected to the standard light fixtures at home. Unless you fixture needs a smaller light, you cant consider buying either of the two. 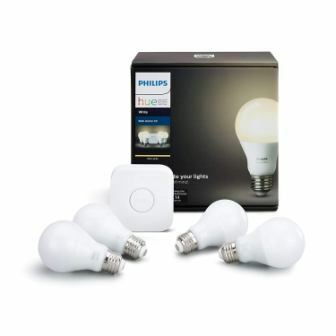 But if it will be used at home into the standard socket, you can pick either of the two bulbs. The degree of distribution of light from the bulb matters, because you will know which one to buy for a particular room type. There might be a room that is too large for a specific bulb and won’t be able to give good lighting or too small that would make it too bright. The degrees of distribution will also allow you to provide a final choice because you need to consider how far the light goes, and yo what angle can give light, enough for the room to consume. The A19 light bulbs don’t have built-in reflectors so they can emit light in a 360 degrees angle. So you can confidently say, this bulb can light up a medium size room evenly. The A21 bulb also has a 360 degrees angle when it comes to the distribution of light. So in placing the A21 in a lamp-holder or bulb socket, you can ensure even delivery of light throughout the whole room. Either of the two bulbs can provide a reasonable degree of angle in the distribution of light in a room. So whichever light bulb you pick, you can ensure satisfaction of light distribution. The two light bulbs are often preferred. This is because both meet the standard bulb base and also the distribution. The only thing that differs is their sizes. A19 is smaller than in diameter than A21. So if you are seeking to get a large one, you would prefer A21. And if size is not an issue, either can give you the excellent light. There is one thing also that consumers need to consider. If you are planning to connect the light bulb into the lamp or lamp holder, you have to remember that you can’t interchange the two. Since they both have the same base, the socket would never be an issue. But on the lamp holder, it might be a problem. A19 can be fitted to the A21 lamp holders, but not the other way around. Remember, that A19 is smaller than A21 that is why it can fit in an A21 lamp holder. And since A21 is larger in diameter, it just makes sense that it won’t fit the A19 lamp holder. So this thing you must check if you are to choose between the two. If we are to stick and base our judgment to the areas and features we consider comparing, A21 would be desirable to purchase. It has a larger diameter so it can contain the right amount of heat from the electricity. While they both have the same base and degrees of light distribution, you are confident that either can give you enough light.